Which? awards media business to a trio of agencies, while Ogilvy is out of Centrica pitch. Centrica is briefing the three groups left in its integrated pitch on Friday ahead of full pitches in May. Ogilvy – and its partner Wavemaker – was recently knocked out, meaning it will lose the British Gas direct marketing account. The three groups still in the running include Publicis Groupe, McCann Worldgroup and MediaCom working with The & Partnership. ODD, The & Partnership and Pablo are preparing for final pitches for the Marks & Spencer clothing and home ad account on 26 March. The brand is planning to appoint a winner by the end of the month and has been working with Oystercatchers on the process. Marks & Spencer previously worked with Grey London on the business. The agency declined to repitch and continues to work on the food account. Agencies vying for the KP Snacks business were invited to pitch briefings at crisp brand Tyrrells' farm on Friday last week. 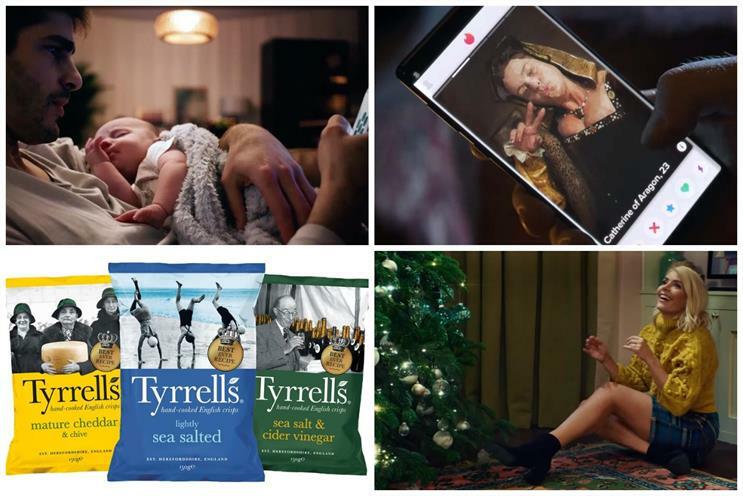 The company is reviewing the Tyrrells, Popchips and KP Nuts accounts out of Wieden & Kennedy London, And Rising and BMB respectively. Three has issued a brief for a CRM agency. The mobile network has brought in AAR to handle the process. It is not currently working with an agency on CRM. PokerStars and Sky Bet are reviewing their global and UK media planning and buying accounts respectively. The betting companies, which are owned by Canadian-based The Stars Group, are holding pitch briefings at Old Trafford, Manchester United’s ground. The review also includes the BetEasy brand. Which?, the consumer rights group, has appointed three independent agencies to handle its estimated £10m media planning and buying account. Craft Media London will look after communications strategy, Goodstuff Communications will handle brand planning and buying, and Brainlabs will add digital performance planning and buying to its existing search role. MC&C previously held the bulk of the business and did not take part in the review. Bartle Bogle Hegarty has retained the £30m Barclays ad account, extending its 17-year relationship with the brand. The agency defeated Abbott Mead Vickers BBDO, Mother and Publicis London in a pitch managed by AAR. Elephant Family, a charity dedicated to protecting Asia’s wild elephants and their habitats, has appointed Leagas Delaney to create an integrated global campaign around the charity’s upcoming and largest art installation to date. The agency was appointed after a non-competitive pitch. There was no intermediary involved and no incumbent. Bigdog has won the Volkswagen Commercial Vehicles retailer marketing account. It will work alongside Bartle Bogle Hegarty. Adam & Eve/DDB previously handled the business. BBD Perfect Storm has picked up Berry Bros & Rudd’s No 3 London Dry Gin account to work on a global relaunch. The agency came out top after a three-way pitch. LG has retained Brand & Deliver as its trade events agency after a competitive pitch process.